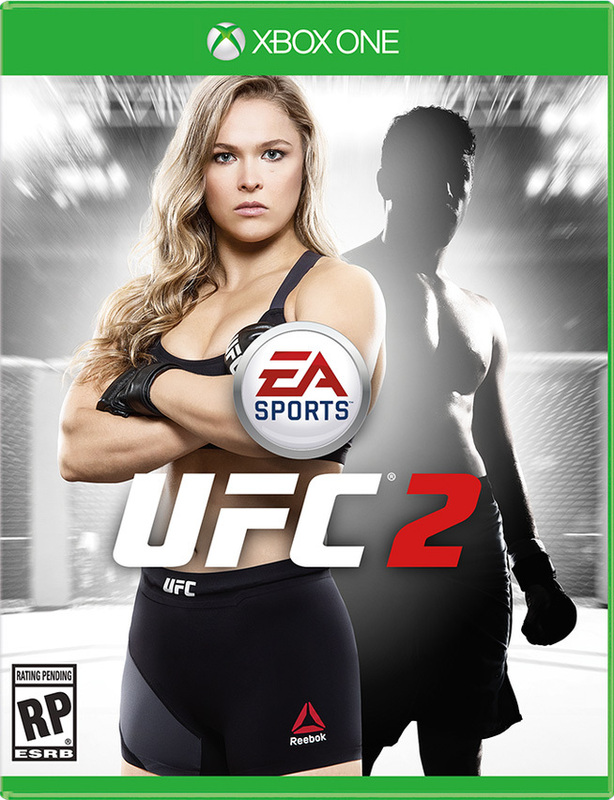 REDWOOD CITY, Calif.-- Nov 13, 2015 --Electronic Arts Inc. (NASDAQ:EA) today announced EA SPORTS™ UFC® 2 will launch this Spring, featuring UFC® bantamweight champion “Rowdy” Ronda Rousey as the game’s global lead cover athlete. Rousey, the undefeated UFC champion (12-0), is the most dominant and recognized fighter in the world. Hear what Rousey thinks about the cover and get a first look of the champ in the virtual Octagon® here. EA SPORTS, The Sims, Dragon Age, Plants vs. Zombies and Battlefield are trademarks of Electronic Arts Inc. and its subsidiaries. Ultimate Fighting Championship®, Ultimate Fighting®, UFC®, The Ultimate Fighter®, Octagon Girls®, Submission®, As Real As It Gets®, Zuffa®,The Octagon™ and the eight-sided competition mat and cage design are registered trademarks, trademarks, trade dress or service marks owned exclusively by Zuffa, LLC and affiliated entities in the United States and other jurisdictions. All other marks referenced herein may be the property of Zuffa, LLC or other respective owners. Any use of the preceding copyrighted program, trademarks, trade dress, or other intellectual property owned by Zuffa, LLC is strictly prohibited without the express written consent of Zuffa. All rights are hereby expressly reserved. John Madden, NFL and FIFA are the property of their respective owners and used with permission. Xbox is a trademarks of the Microsoft group of companies. "PlayStation" is a registered trademark of Sony Computer Entertainment Inc.